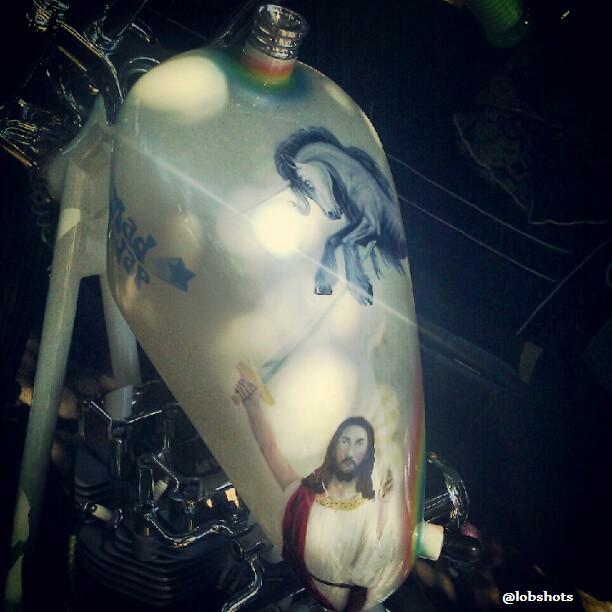 Is That a Motorcycle With Jesus Slaying a Unicorn on it? Why, yes… yes it is. Not quite sure what this unicorn did to make Jesus slay him with a sword… something super evil, I’m guessing. 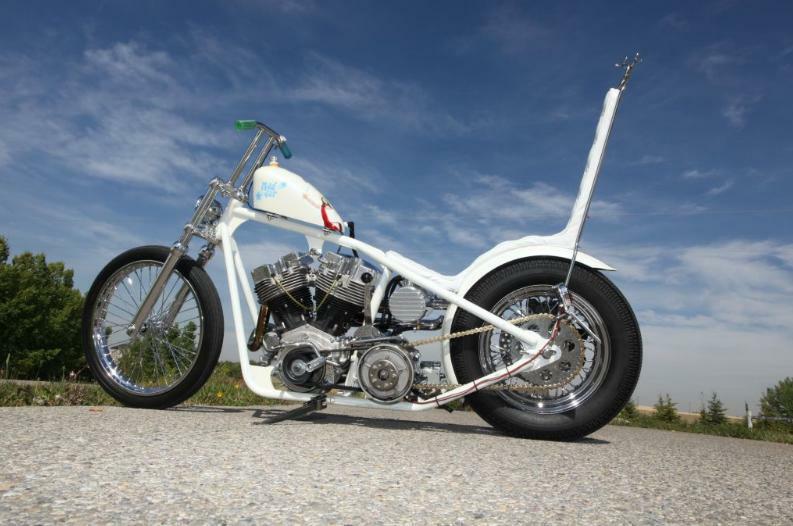 Our buddy Dave sent in this picture he took at a chopper show called Born Free. Born free indeed. You can find more pics of this gem here. My mind is rather perplexed by the confusion and amazingness of this chopper. This entry was posted in Fashion, Racing and tagged born free, jesus and unicorn. Bookmark the permalink.